Take a step into this tranquil and dreamy collection and feel the California desert just under your toes! 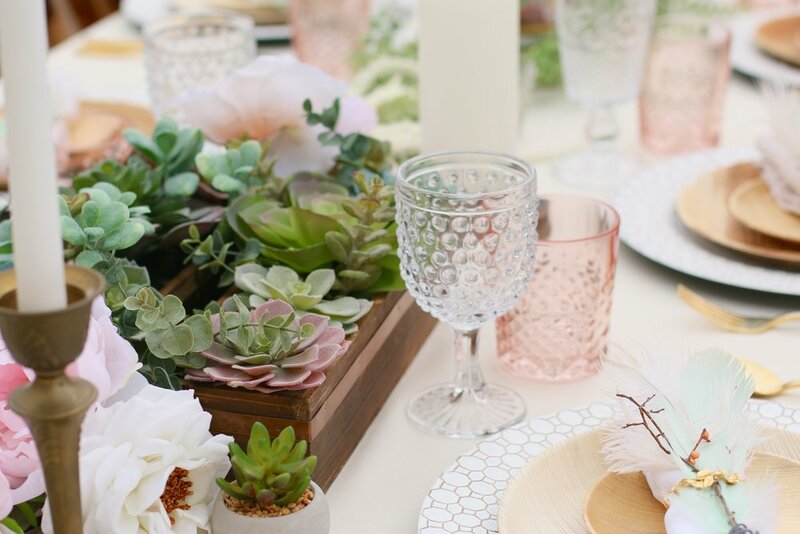 Lush greens and prearranged faux succulents bring a whole lot of Mother Earth to your clean ivory table. 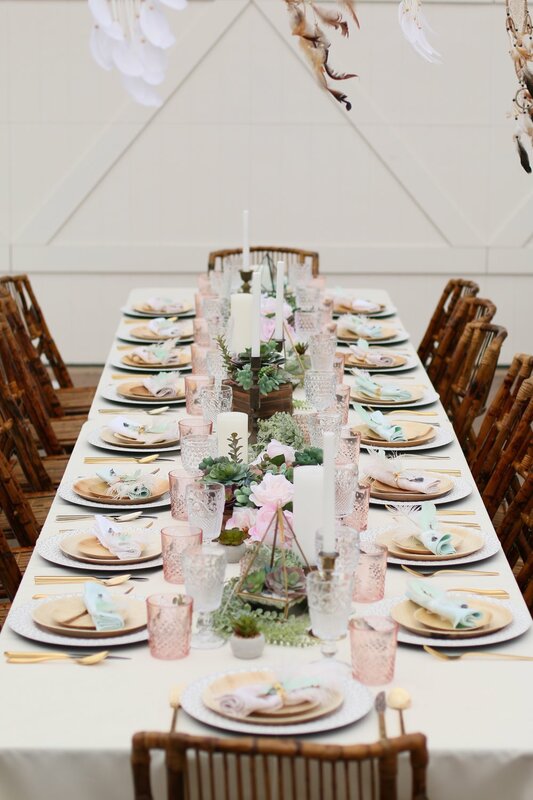 Also joining the centerpieces are vintage bronze, clear/pink bubble glass, and wood candle holders to bring light and sparkle to your soirée. 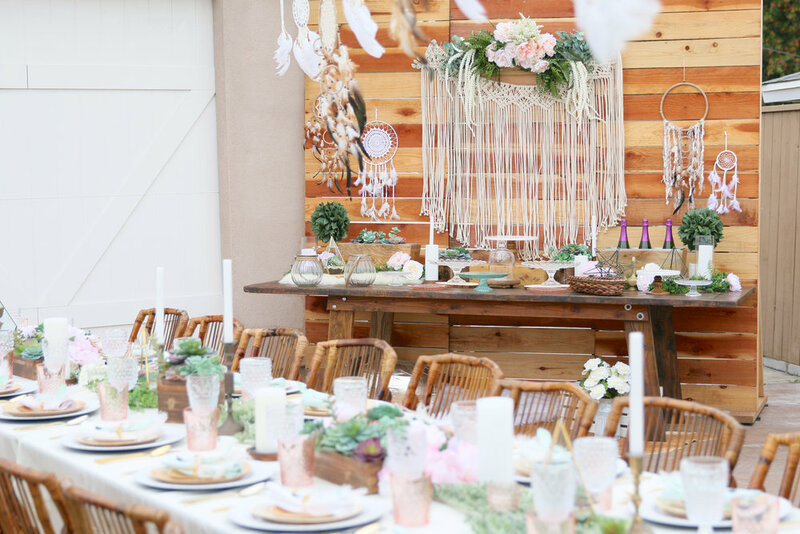 Your guests will be floating on a cloud when they experience this light, bright and airy California Desert inspired dream land! 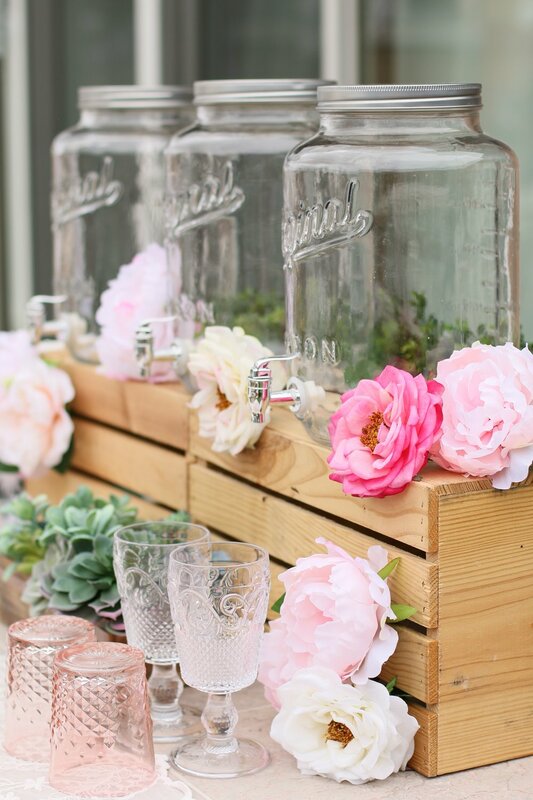 A beautiful way to display your sweets or h'oderves for your guests. 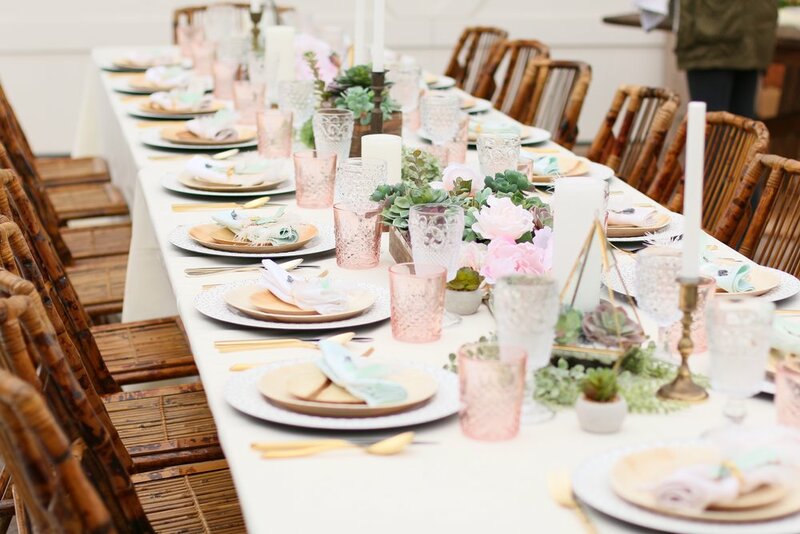 The display includes crystal, marble, wood, and colorful glass cake platters, baskets, greenery, succulents, geometric vessels and flameless candles. 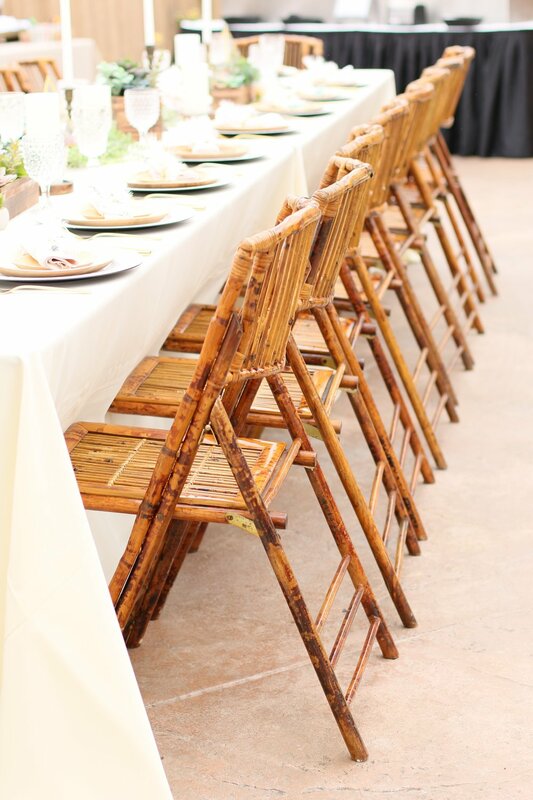 Nothing says California as much as low, intimate yet casual seating! 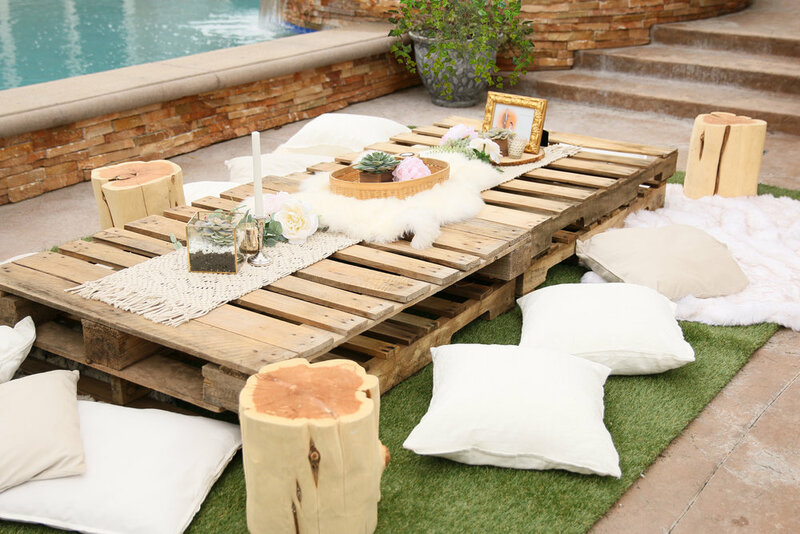 Includes natural wood pallet tables, piles of faux furs and assorted pillows. 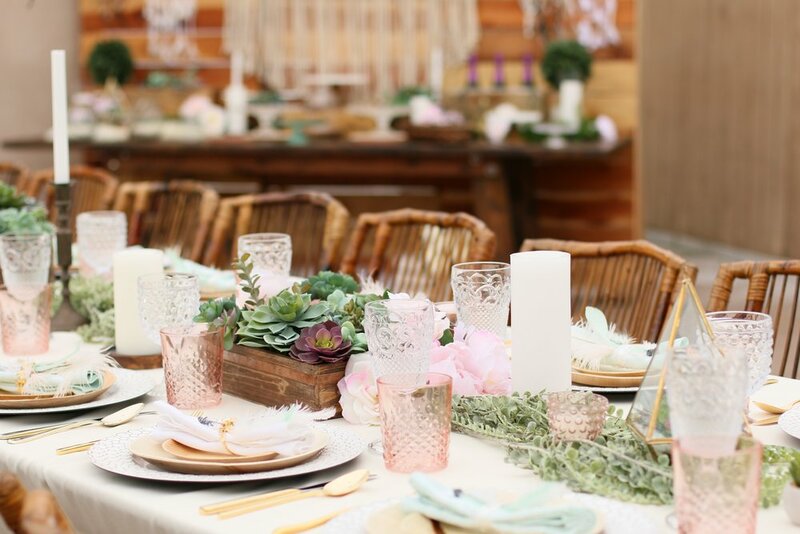 The simple table decor says just enough with woven trays, candles, and beautiful succulents to tie it all together. 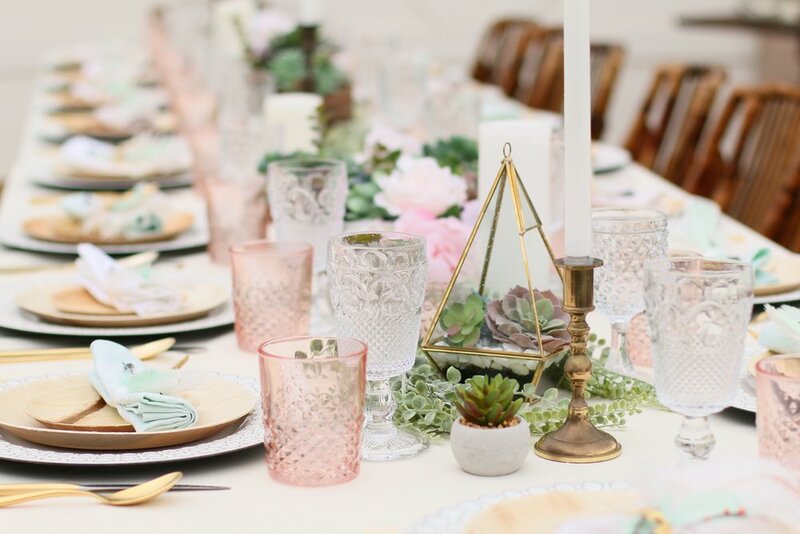 Our table decor includes geometric vessels with stunning faux succulents, brass candlesticks and textured glass votives. Flameless white pillar and taper candles to brighten up the table. Pre-arranged faux succulents are neatly secured in stunning dark wood boxes with a touch of gold metal trim. As drought resistant as they come, oh wait... they're fake! 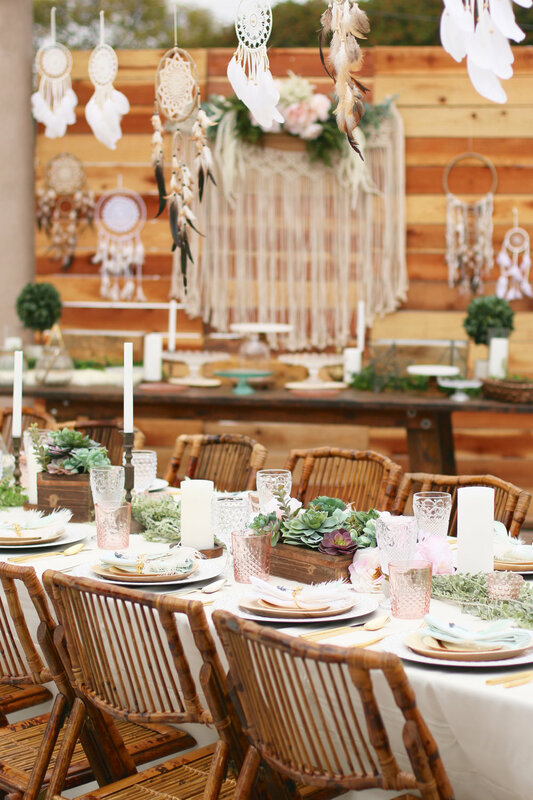 Lush faux greens bring a whole lot of Mother Earth to your clean ivory table. Your choice of assorted drinking goblets or textured pink glasses to dress up the table. 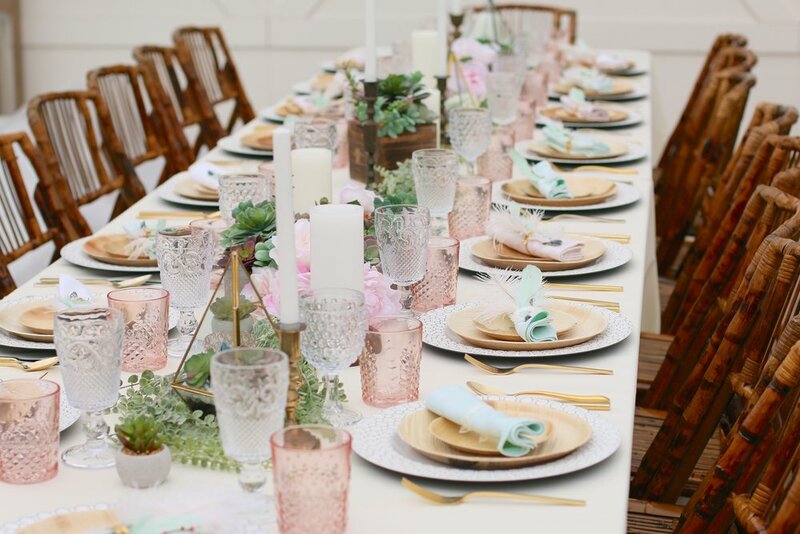 Assorted gold & white chargers, eco palm-leaf desposable dinner & salad plates, gold flatware, drinking goblets, pink textured glasses, linen napkins & assorted gold napkin rings. 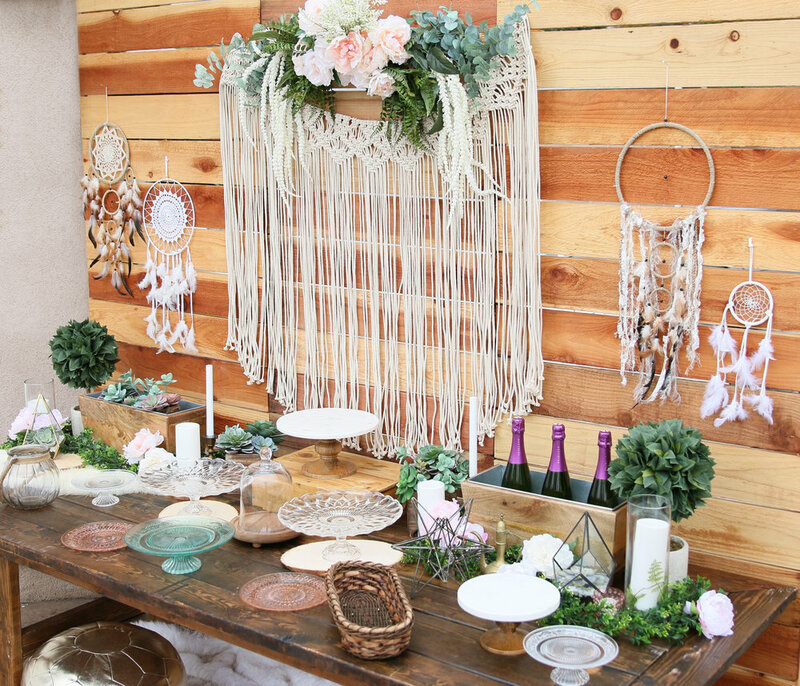 Nothing says dreamy California vibes like our macrame curtain and faux floral wreath. 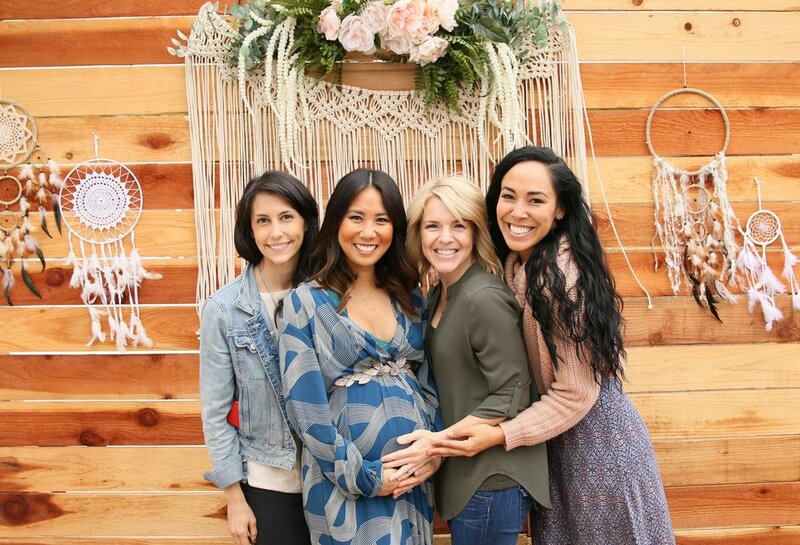 A perfect addition to a photo backdrop or anywhere you want to add a touch of dreamy desert feels. It's not California Dreamin' without our assorted dream catchers. Say it all with our rustic wood signage.